Love is Strange, the second collaboration between director Ira Sachs and writer Mauricio Zacharias, is nominated for four Independent Spirit Awards: Best Feature, Best Screenplay, Best Actor, Best Supporting Actor. The film tells the tender love story of two men—Ben and George—who finally get married in New York City after 39 years of partnership. Because of their recent marriage, George is fired from his teaching position at a Catholic school and the couple is forced to live separately while they figure out their finances. 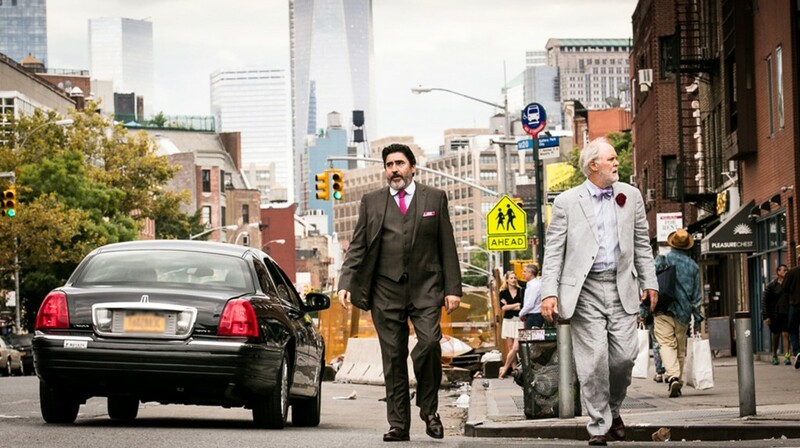 The Walker screened Love is Strange earlier this month with Sachs in attendance for a post-screening discussion. The writing duo has a promising future ahead. Sachs and Zacharias are currently working on their third film, the final installment in their unofficial New York love trilogy. Fresh from the beach, Zacharias took a moment away from visiting family in Rio de Janeiro to answer a few questions about what inspires, angers, and comforts him in 2015. The Amazon series Transparent. I love the way it uses humor to portray a very complicated family situation. 2. What is something you have never done before? Parachuting! To jump out of plane and free fall for a while sounds amazing (but landing safely on a sandy beach sounds even better). 3. When did you realize you wanted to be an artist? I watched Psycho as a kid. It made me want to make movies. I studied and worked hard to make it happen, but I’m always amazed to see that I’ve become what I’ve always dreamed of being. 4. What global issue most excites or angers you? Global warming. It is the most pressing issue of our times, and when I hear governments denying to take action, I go: what are those people thinking?? 5. They say dogs and their owners tend to look alike. What kind of dog would you own? If you own a pet, what kind and what characteristics do you share with it? Miles, a shiba-inu, is the first pet I’ve ever owned (I share custody with my ex). He likes to be alone as much as I do. 6. What is your least favorite sound? The ambulance/firetruck sirens in NYC. Can they turn it down, please? 8. Whom would you like to spend three hours in an elevator with? Absolutely no one. If this ever happens to me, I wish to be alone.